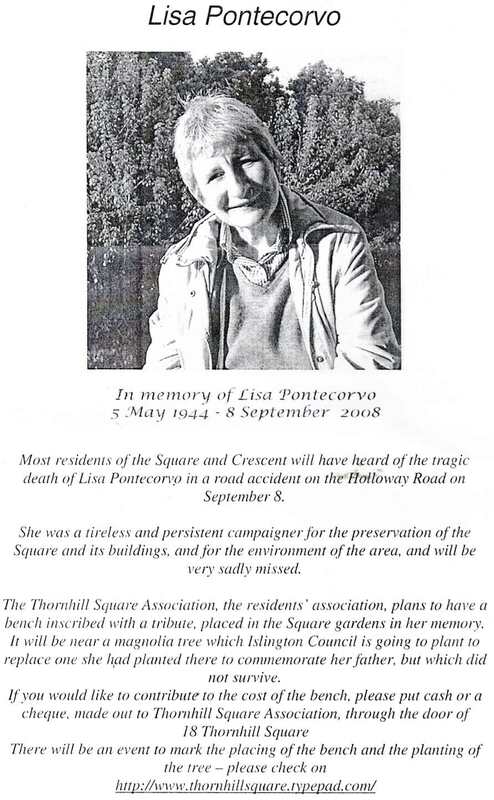 There will be two local memorial events, one in Edward Square (which Lisa founded) and one here in Thornhill Square where she lived. The Edward Square event is on Friday 14 November (details below from Paul Convery). 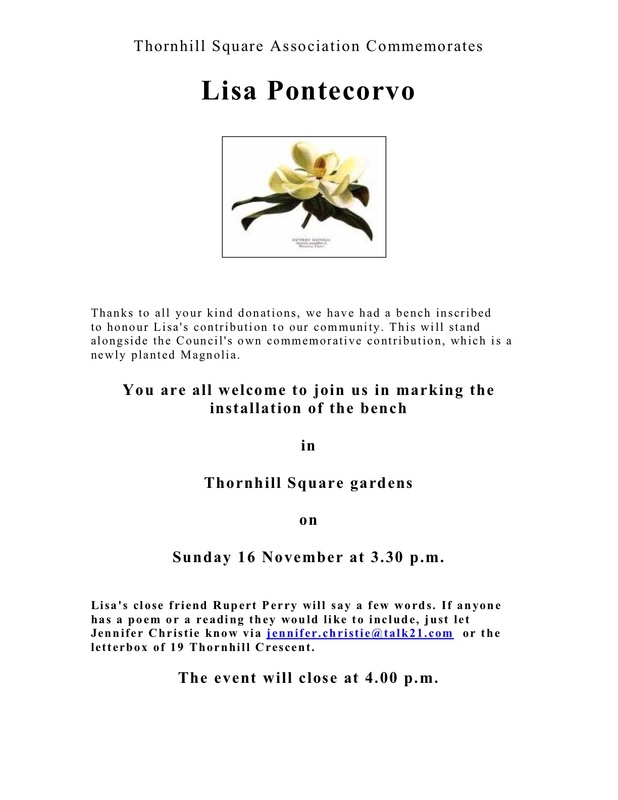 The Thornhill Square event is not yet scheduled as we are honouring Lisa with the planting of a magnolia and the installation of a memorial bench but we don’t yet know when the bench will be ready. Once we do know, we will circulate a date. If you would like to make a contribution towards the bench, please page down to see the previous posting. A big thanks to Anna McKane and Aron Cronin for adminstering the collection and thanks to Lisa’s close friend Rupert Perry, in Huntingdon Street, for the inscription wording. The date has now been confirmed for the memorial event in Edward Square to celebrate and commemorate the life of Lisa. I apologise for the slight delay in finally settling this but we now have a date and time that seems to maximise involvement and attendance. It will be held on Friday 14th November at around 2pm in Edwards Square. We shall have a large marquee erected, refreshments, music, art and performances arranged (so far) from the Orchestra of the Age of Enlightenment, local schools and from Lisa friends and neighbours. Much of the organisational burden is being handled by staff in the Council's Greenspace department and we are very grateful for their contribution. Further details will be circulated shortly and we shall be widely publicising the event throughout the neighbourhood and Borough. Click here for more about Lisa. Lisa Pontecorvo has been killed in an accident involving a lorry, on the Holloway Road. Lisa was a tremendously kind person. I can’t believe she’s gone. 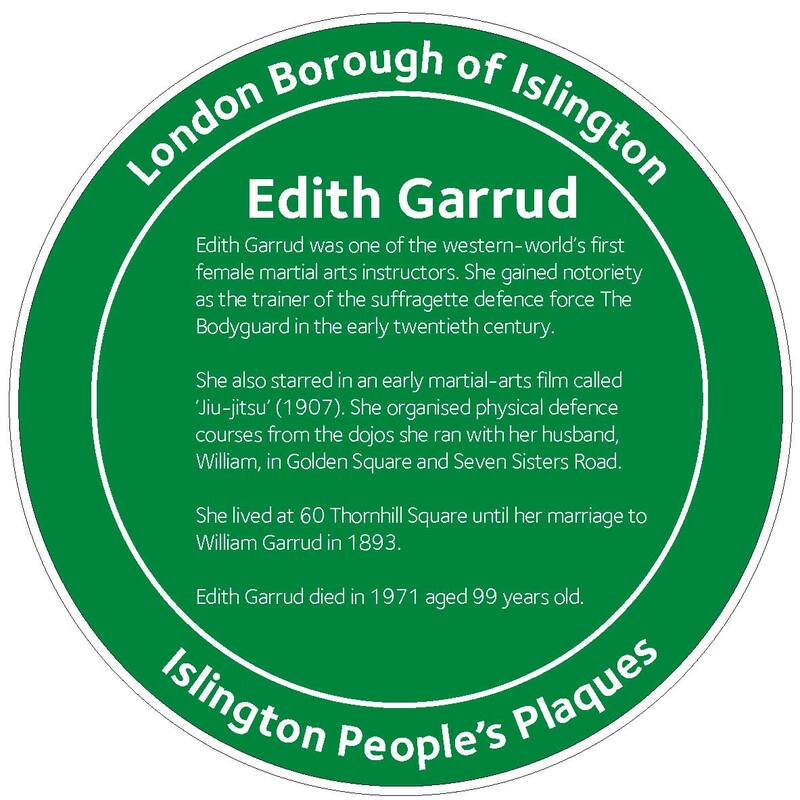 She made a huge contribution to community life in this square and in Edward Square and beyond. 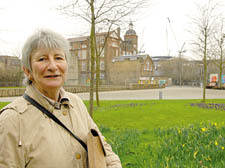 She befriended everyone and provided a link between the Council and its residents, often advising me on who to contact in order to resolve problems. Most importantly, she spent all of her free time working, voluntarily, to support local youth projects. This is a tragic loss to Islington. There will be a tribute to Lisa in The Islington Gazette this weekend. Please pass this on to those who knew her. The funeral arrangements for Lisa will shortly be announced by her family. It will probably be a ceremony for very close friends and family. Recognising the depth of feeling and the very large number of people who will want to commemorate Lisa’s life, we shall also be organising a memorial event, probably to be held at Edwards Square, a few weeks hence. In organising this event, Cllr Rupert Perry and I shall be involving a wide range of people who were close to Lisa and to the issues and activities that she was so passionate about. Details of both the family funeral and the commemorative event will be posted at the following location shortly: www.kingscrossenvironment.com. Many friends of Lisa’s have already submitted tributes and remembrances of Lisa on this site. Finally, apologies for any cross-posting, I am sure that many recipients may have already received this information. 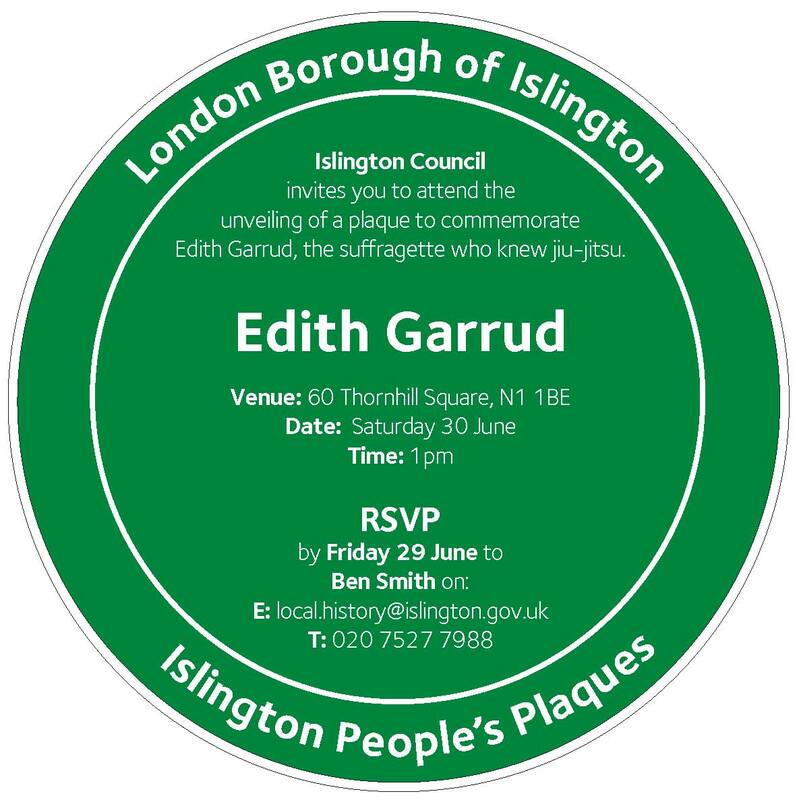 I would also be very grateful if recipients might forward this information further … in particular to other people working for/with Islington (and Camden) Council who will have known Lisa.